Enjoy history, art, and government facts? Do you find it easy to talk to people about something you care about? Volunteer at the historic New Jersey State House. 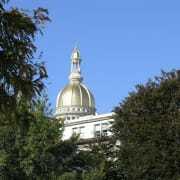 Training will introduce you to the legislative process and the architecture of New Jersey's most historic building, the seat of New Jersey government. Send an email or call today!